All ATF special agents who become certified explosives specialists must complete a two-year candidacy program that includes a variety of training, education, certification requirements and simulated and real-world experience. CES’ specialize in investigating violations of federal explosives and firearms laws, including bombings, explosives thefts and other explosives-related matters relevant to the unlawful use, storage, manufacture and distribution of explosives. In fiscal year 2017, ATF had more than 220 of these specialists located throughout the United States, Puerto Rico, Canada, Europe, Mexico and Central America. The Bureau of Alcohol, Tobacco, Firearms and Explosives’ (ATF) certified explosive specialists (CES) are experienced special agents who investigate violations of federal explosives laws. 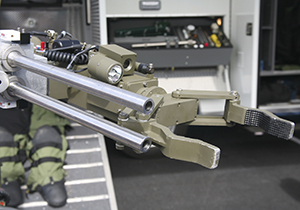 They serve as the primary resource for ATF to provide technical expertise and analysis, supporting the agency’s explosives enforcement mission in the areas of explosives identification, handling, use and disposal, as well as post-blast investigation and support to state and local authorities. CESs specialize in enforcing and investigating violations of federal explosives and firearms laws, which includes bombings, explosives thefts and other explosives-related matters relevant to the unlawful use, storage, manufacture and distribution of explosives. These personnel also include experienced bomb technicians who render safe destructive devices, conduct advanced disassembly procedures to preserve and exploit evidence and provide destructive device determinations for expert evidence testimony in criminal prosecutions. The efforts of special agents, CESs, and explosives enforcement officers (EEO) in investigations support the strategic goals of ATF and the Department of Justice by preventing terrorism and violent crime to safeguard the nation's security. Upon completing the two-year candidacy program, CESs attend an Improvised Explosive Device Training course at the Naval School Explosive Ordnance Disposal (NAVSCOLEOD) within three years of their initial certification. They must successfully recertify every two years, which involves standardized practical skills testing and continuing education in a one-week course. Any CES who also successfully completes the U.S. Army/FBI Hazardous Device School qualifies as a certified bomb technician and is authorized to render safe destructive devices when in the interest of public safety. Throughout their career, CES personnel continue their education in a variety of topics, such as advanced explosion investigation, engineering principles, risk management, blast effects, large scale testing and forensic science subjects. They work explosives incidents and provide support in criminal investigations on a daily basis alongside the U.S. Bomb Data Center, ATF explosives enforcement officers (EEOs), the ATF National Response Team, three ATF forensic science laboratories and ATF explosives detection canine handlers. In fiscal year 2017, ATF had more than 220 CESs located throughout the U.S., Puerto Rico, Canada, Europe, Mexico and Central America. ATF is charged with enforcing the federal explosives and arson laws, which include the National Firearms Act (codified at Title 26, United States Code, Chapter 53); the Organized Crime Control Act of 1970, Title XI, and the Safe Explosives Act of 2002 (codified at Title 18, United States Code, Chapter 40); and implementing regulations (codified at Title 27, Code of Federal Regulations, Parts 479 and 555).